Reduce plastic in your kitchen with these simple swaps. From cooking to cleaning, a kitchen with little to no plastic is possible. Read on as we show you how! Imagine an ice cube tray that doesn’t end up snapping from too much twisting, and a tray so well built you will likely hand it down to your kids or grandkids! Imagine no more. Biome’s stainless steel ice cube tray is strong, made to last, easy to use, and free from BPA and PVC commonly found in cheap plastic ice cube trays. They are great for making ice, and also avoiding food waste! 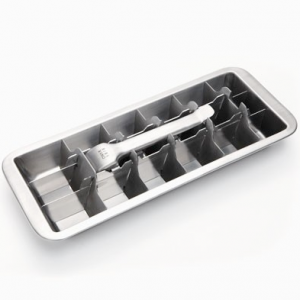 Our stainless steel ice block moulds, just like our stainless steel ice cube trays are also super strong, built to last and free from BPA and PVC. Use them to create all sorts of healthy, additive free ice blocks – fruity ones, yoghurt or milk based ones, nut or coconut based ones, the options are endless! 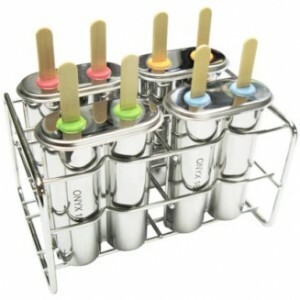 Note: these ice block moulds do have small silicone rings to stop the stick from popping up. These are very durable, however if they do reach the end of their life, please return them to Biome and we will recycle them at a specialist recycling facility. Stainless steel is an iron alloy with a minimum of 10.5 per cent chromium by mass. This layer of chromium is what makes stainless steel less likely to rust, corrode or stain. Chromium forms an oxide when it is in contact with air and water, making it more durable. It’s possible that this oxide layer could help to remove unwanted smells. The idea is that the sulfur-containing chemicals left on your hands after chopping garlic may form a chemical bond to the chromium oxide and cling to the surface of the soap, not to your hands, solving the smell problem. This stainless steel soap should last you a lifetime, but if it does reach a point where it can’t be used anymore, it can be recycled. 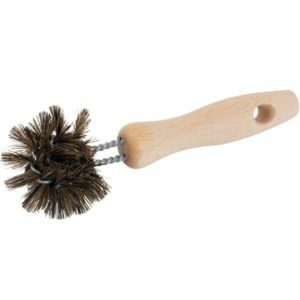 Mainstream dish brushes and scourers are generally made from plastic. As you use them, small bits break off, go down the drain and end up in our oceans and waterways. These small bits of plastic, or microplastics, are then eaten by marine life and end up in the food chain, the consequences of which can be catastrophic. An easy way to avoid this is to switch to a dish brush or scorour made from natural fibres, like hemp or coconut fibre. Not only will these help you avoid contributing to microplastic pollution, at the end of their life they can be added to your compost or burried in your garden to return to the earth. Like plastic dish brushes and scourers, most mainstream dish cloths or sponges are made from plastic too. Chux and the like won’t compost, and their use contributes to microplastic pollution. There is a plastic free alternative though! 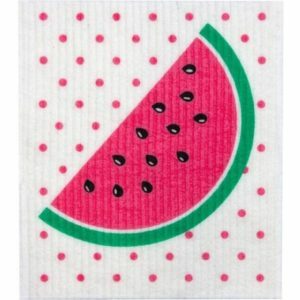 Our Swedish dish cloths are made from 70% plant cellulose and 30% cotton. They are strong, perform well and can be washed and reused for several weeks. At the end of their life they can be added to your compost or buried where they will return to the earth. Most chopping boards are made from plastic or many pieces of wood or bamboo glued together with glues containing plasticisers and other toxic ingredients. Overtime these glues are also likely to become unstuck, resulting in a warped chopping board and glue particles leaching into food. 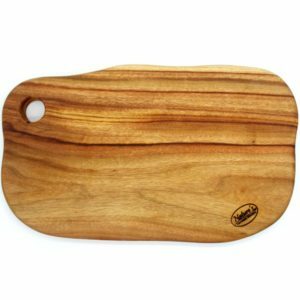 You can avoid these issues if you switch to a chopping board made from one piece of wood, like our handmade camphor laurel chopping boards. Camphor laurel is actually a weed in Australia and these boards have been made from salvaged camphor laurel that has been removed and replaced with Australian natives. Spiralisers are great for creating fun, healthy veggie spirals from carrot, zucchini and beetroot. You can use these spirals in place of spaghetti, in salads, or include them as a fun addition to a school lunch box. Most spiralisers have plastic components, but not our kilner spiralisers, which feature a stainless steel spiraliser head attached to a glass jar. Being made from glass and stainless steel mean they are very sturdy and endlessly recyclable. Brewing a coffee can be wasteful and can generally involve a bit of plastic, but we have a great low tech, low waste, plastic free alternative that produces outstanding results again and again! 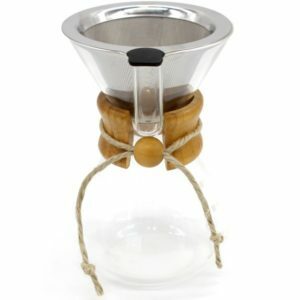 Biome’s classic glass and stainless steel drip coffee maker features a wood collar, a twine tie (vegan), stainless steel filter and a stylish glass body. It’s timeless, beautiful, zero waste and coffee enthusiasts rave about it. Do you prefer using a Nespresso coffee machine? It’s no secret the Nespresso pods used in these machines are very wasteful, and even if they are recycled, the process is quite resource intensive. 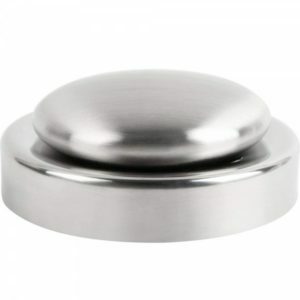 Well, we’ve found a 100% stainless steel pod that fits Nespresso coffee makers! 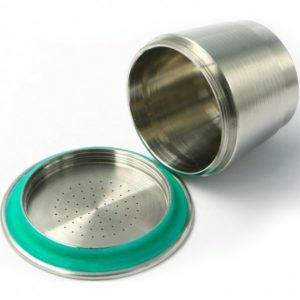 These awesome Podsta reusable stainless steel coffee pods are made from stainless steel with a silicone steel. 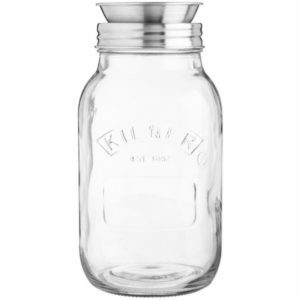 They can be filled with your favourite local freshly ground coffee and reused again and again! 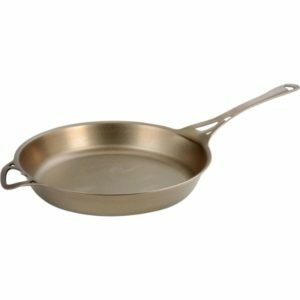 Most pans, particularly cheap ones, have plastic or silicone handles and are coated with Teflon, which contains PTFE and other harmful chemicals. These pans aren’t built to last and often end up in landfill within a couple of years. But we’ve found a range of pans that 1) are made without any plastic or Teflon at all, but from one piece of wrought iron; 2) have a renewable non stick coating, which you build up yourself through seasoning; 3) are Australian made and designed, and not made cheaply in an overseas factory; and 4) have a multi century warranty! Nylon and plastic utensils, popular because they protect non-stick Teflon coatings, are susceptible to melting and cracking. 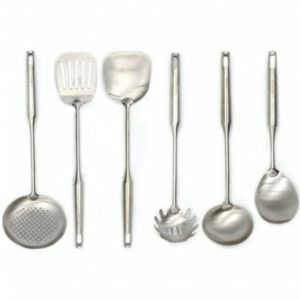 The chemicals used to make these utensils, particularly Diaminodiphenylmethane (also known as DDM or methylenedianiline) are known carcinogens you risk contaminating your food if the utensils melt or break. You avoid this risk if you opt for stainless steel or bamboo utensils and pots and pans without a non-stick coating.